Medicine for fibromyalgia can be quite effective in treating symptoms of fibromyalgia. The most effective medications, surprisingly are often the last chosen for treatment. Many times I will see a patient who has fibro and has been given anti-inflammatories and opiods for pain, neither of which are overly successful. Eventually the person begins to take more and more opiod to dampen pain and ends up addicted. This doesn't have to happen! Tricyclic antidepressants (TCA) such as Elavil are the most effective as a medicine for fibromyalgia. TCA's are usually taken a few hours before bedtime and can help with poor sleep in addition to being an anti-spasmotic for muscle pain. Most fibromyalgia patients are thought to have low levels of a neurotransmitter chemical called "serotonin" and TCA's interfer with the management of seratonin in the body's nervous system. Seratonin is also highly involved in migraine and irritable bowel syndrome. Recent studies have demonstrated that adding a seratonin re-uptake inhibitor or SSRI to the TCA regimen can further reduce the muscle pain, anxiety and depression of fibromyalgia. Additionally, the two medications tend to cancel out each others side effects! (woo-hoo!) Elavil can cause some daytime fatigue, but medication such as Prozac can make you feel more alert, thereby canceling the fatigue. For medication resistent patients, Ativan (lorazapam) has shown benefit in reducing pain, anxiety and depression. In 2007, the FDA approved the first medicine for fibromyalgia intended for daily use. Lyrica or pregabalin is a chemical remodulation of Neurontin or gabapentin. Interestingly enough, many insurance companies would demand that patients be given a trial of gabapentin first before approving Lyrica. Most of the time it failed as the pharmacodynamics of the two drugs are different. Side Effects of Lyrica: many include dizziness, weight gain and swelling in the lower extremeties. Some patients have also experienced diarrhea and a change in mood. Additional medicine for fibromyalgia include Savella and Cymbalta for fibromyalgia. Both of these medications are different from Lyrica. The effect the nor-epinephrine pathways mainly, but also have a small effect on seratonin receptors in the brain. The net result is a dampening of pain. The biggest benefit is these drugs will also improve mood. Savella has the depression indication in Europe, but not in the US..yet. Side Effects of Savella and Cymbalta: once again include dizziness, however weight gain is less of an issue than with other medications. Although they are both supposed to boost mood, such as depression and anxiety, occasionally the opposite effect may happen and mood may worsen. Nightmares and odd dreams may occur if dosing is at night. 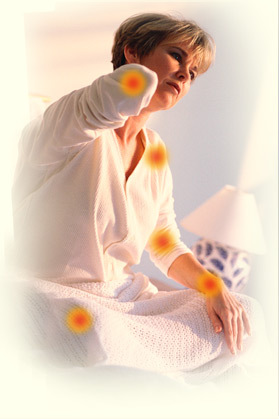 Injections of steroid or analgesics into the tender points of fibromyalgia may help relieve the soft tissue pain. These are also known as trigger point injections and can help break the cycle of pain and spasm. If spasm is a predominant symptom, Flexeril (cyclobenzaprine) may help and could also restore sleep. Finally, some studies have show that biofeedback and acupuncture may help you not only cope with pain, but actually reduce it. 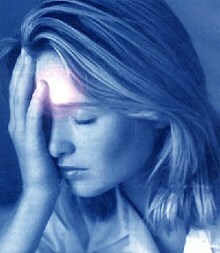 Both methods are also shown in research studies, to be effective in reducing headaches. You can join the Fibromyalgia Network and get more help for your fibromyalgia symptoms. Looking for the best bed for fibromyalgia? Try a heated waterbed. This site ranks in the Top 1% of sites on the internet.